Where are my account-level Grading Schemes? Account-level Grading Schemes are located in the Grading Schemes feature of the account. 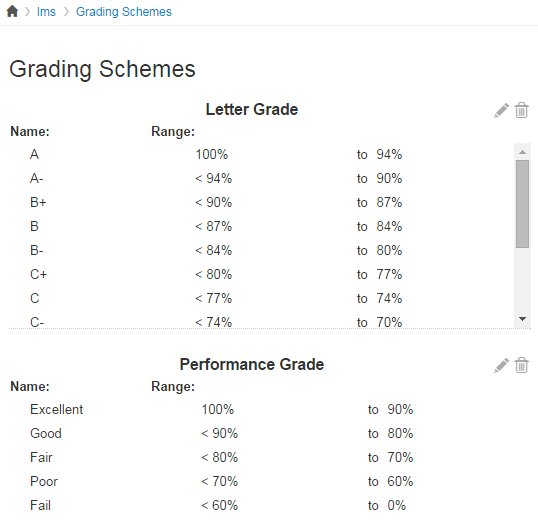 In Account Navigation, click the Grading Schemes link. View the grading schemes. You can create and delete grading schemes in your account.